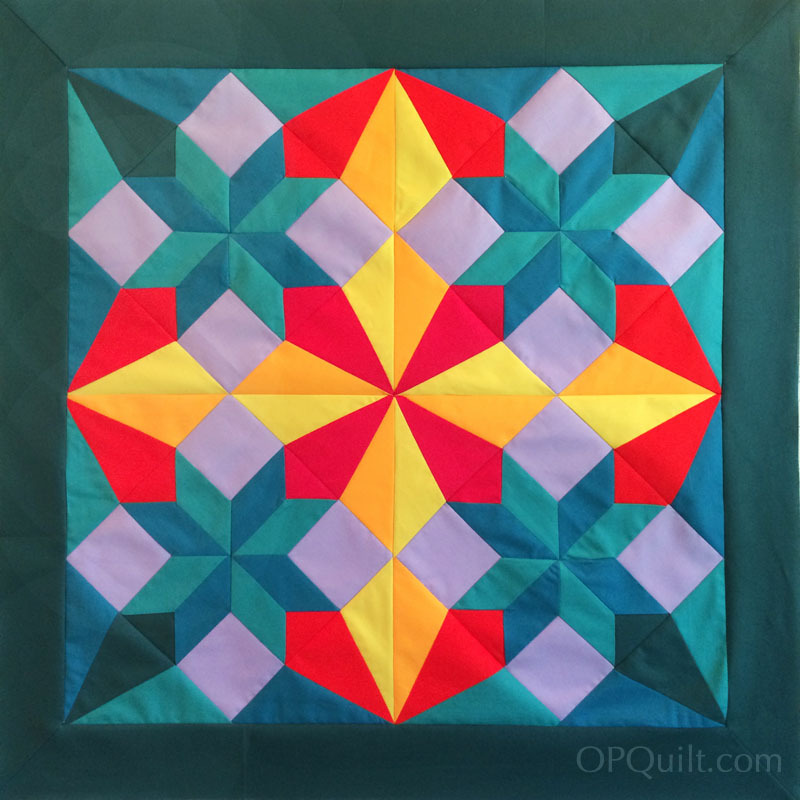 March Madness: Guccilicious and Sky Rocket Quilt | OccasionalPiece--Quilt! Posted on March 27, 2017 by Elizabeth E.
Today is the day to vote for my bundle of fabrics titled Guccilicious, *here* and on Instagram. On Friday, I introduced you to my bundle of colors, and the name, and today I’d like to show you what I made from that bundle. It’s a variation of an old block titled Sky Rocket from the 1930s, but here I’ve changed up some colorations, shortened some sections and let the colors pop. At a later date, I’ll attach a link for a free pattern, but today…just enjoy and get yourself over to the blog to vote. I’ve disabled the comments today on the blog so as not to be confusing, and will let you know later on when I run my giveaway for the fat-eighths of my Guccilicious bundle. Head over now to cast your vote in Paintbrush Studios March Madness for my Gucciliccious, on their blog Inspired by Fabric, and at their Instagram account @pbstudiofabrics.